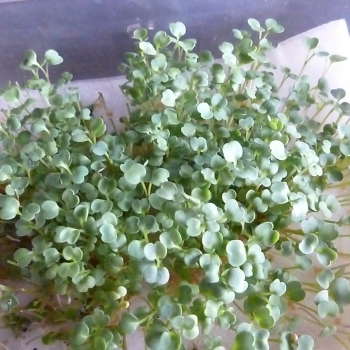 Two weeks in and the rocket and the lettuce are doing well, the beetroot has germinated but I guess I'll need to sow many more seeds to get a reasonable micro harvest. 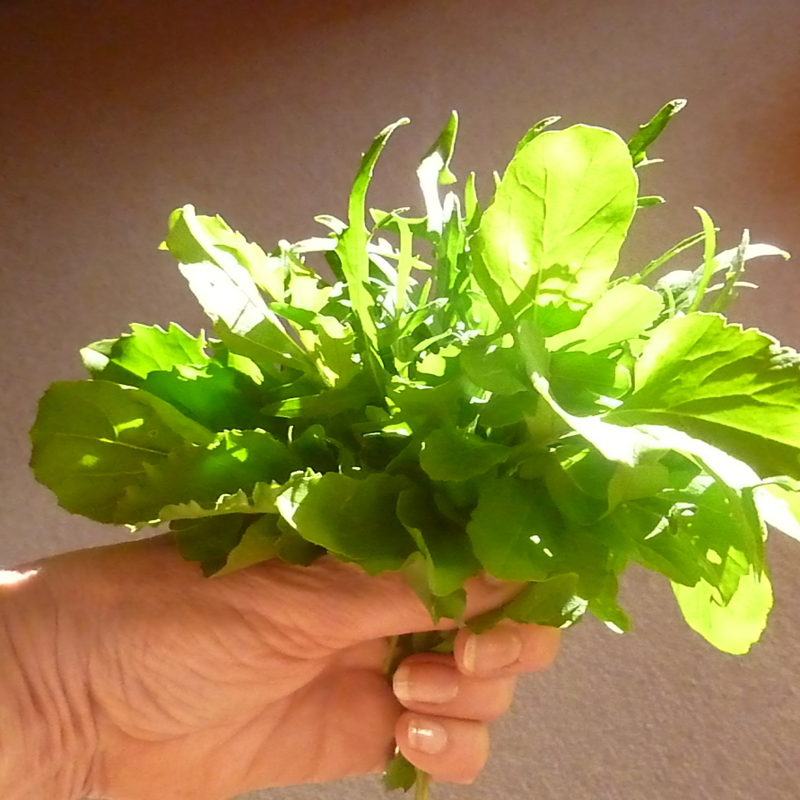 I'm pretty impatient and cut a few shoots last week to sprinkle over a frittata but today I cut a good tablespoon of rocket and lettuce micro-shoots and had them with houmous on oatcakes. The beauty of these tiny shoots is they pack a punch in flavour. Clearly the winner in the micro-harvest stakes is the rocket which is no surprise to me. 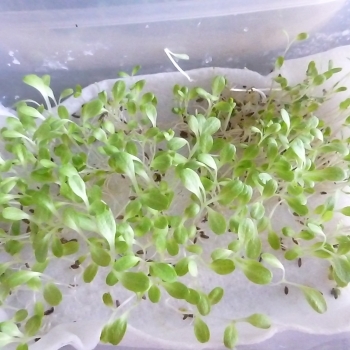 I'll be sowing more seeds soon but in a bigger container, the basil seeds failed but I'll try with parsley perhaps or mixed salad leaves. For a spike of green freshness it's worth a shot. I hope you'll have a go.